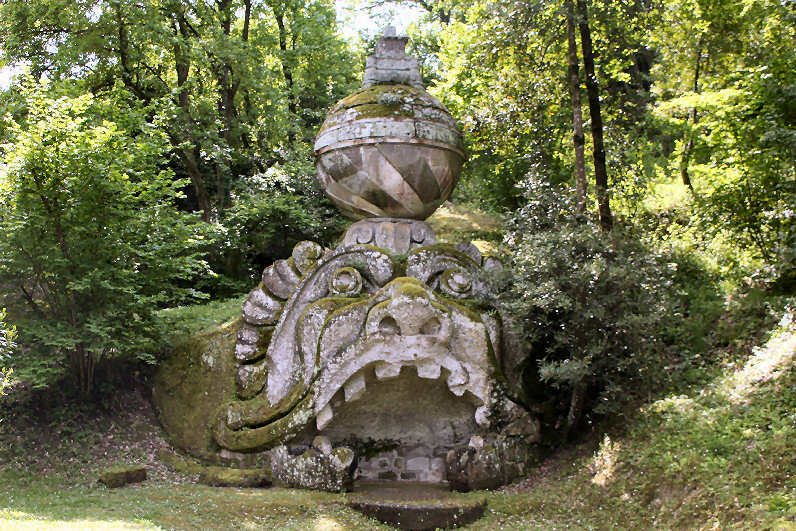 Sure to be a big hit with young and old alike is the “Park of the Monsters” in Bomarzo, just 20 km from Viterbo, perfect site for a Rome day tour. These 3 hectares of gardens feature a number of volcanic rocks shaped to form fantastic sculptures: ogres, dragons, giant turtles, leaning houses, elephants – and the list goes on. Commissioned by the former Papal soldier Vicino Orsini between 1552 and 1580, the park is a treat for the eyes and truly one of a kind.